The month since returning from Kenya has flown by! I have been teaching regularly for our church’s adult Sunday Training class and the new parenting class. Life in the Spirit series is almost complete. My last lesson will be this Sunday, May 15th. This has been a tremendously uplifting series, especially following on the heels of the Book of Revelation. While teaching classes and preparing slides, I am also writing chapters for a future for book. My brain has recently been hard pressed by the Burmese and Luo seminar videos, sometimes being submerged in the work! Our Burmese translator said, “Great! I searched for any error (in the Burmese book cover) with a power glass (magnifying glass), but I didn’t find anything wrong. Sir, you have become Burmese.” What fun! This was stated only after submitting the cover to him 4-5 times. Meanwhile I have edited and produced over 20 hours of Luo videos. I am very glad that the computer can handle all the editing and producing for one hour+ videos. In the last letter, I mentioned a praise on the side of technology. Two significant followups: First, the laptop: totally new innards and screen were replaced at a good price and is now working fine. Second, my backup portable hard drive died. The last 10 videos to be edited are still on the dead drive. Fortunately, I have most of the audios for these lessons, so all is not lost. I am still praying to recover those videos before exchanging it for a free new portable hard drive. Recovery costs are too expensive. What a battle! So please do continue to pray for the final processing of the Luo and Swahili resources as well as finalizing some translations into books. Thank the Lord for the 20 teaching videos produced since the last prayer letter, mostly of the bilingual Luo seminars! Thank the Lord for making the computer like new. Praise the Lord for lots of good family time after being away. 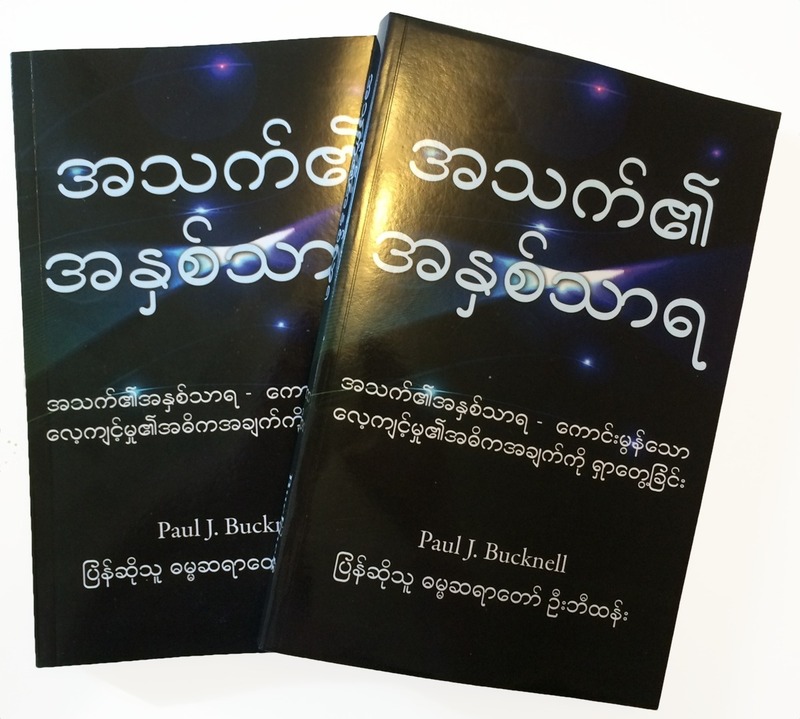 The Burmese translation for The Life Core is now here (see above)! I finished BFF’s special non-profit 990 form. Big yeah! Send me a note if you would like to see it. The parenting class at our church has started! On Sunday (May 15th) I am both preaching and teaching. 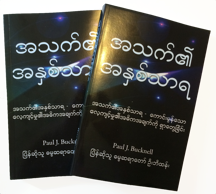 I am now working with the Burmese translator on our marriage book. With a little break in teaching, I will focus on finishing up some major projects including some intense writing. Pray for the families in the parenting class that they might find much help for their new babies coming soon. There has been some action on our new web pages. May it continue on! As always, thanks so much for your prayers! •	Visit our Square account: mkt.com/bucknell where you can use your credit care to make a donation. BFF is an official 501(c)(3) nonprofit religious organization and able to offer tax deductible receipts for contributions in the United States.